The visibility is so clear... you forget you're underwater! Molokini is an ancient volcanic caldera that offers some of the clearest water for snorkeling anywhere in the world. It is located about 2 miles offshore from South Maui in the Alalakeiki Channel (between Maui and Kaho’olawe). Molokini is a marine sanctuary below water and a bird sanctuary above water. There is no access to the island itself; only those with research permits are permitted to go ashore. The incredibly clear water is due to its location in the middle of the channel and the lack of any sand deposits around the islet. No matter the wind or wave conditions the visibility here is unparalleled. A variety of snorkel tours are available. Below is a selection of the best ways to experience Molokini Crater. Make yourself comfy ... there's plenty of room to stretch out on! Aqua Adventures offers a two location snorkel tour (normally Molokini snorkeling for the first stop and Turtle Arches for the second) with 6:45am check in daily at Maalaea Harbor slip #51. This is the boat harbor in Central Maui just behind the Maui Ocean Center Aquarium along Highway 30. Some Molokini boats hold upwards to 140 people but there are no such crowds on board Aqua Adventures. While the vessel can hold 49, they limit the trip to just 36 guests per day. The boat is FAST too! Powered by twin 350HP motors, this vessel cruises at 22 knots which means you’ll be waving goodbye to other boats as you pass them on the way to Molokini crater. Want to try something really adventurous? Take your snorkeling experience to a whole new level of underwater thrills with a SNUBA DIVE. That is their specialty! The Pride of Maui takes you to Molokini in comfort … offering glass-bottom viewing, a fun water slide, continental breakfast, an excellent BBQ lunch, and a refreshing open bar. This vessel is spacious and stable; her sprawling upper deck features unobstructed panoramic viewing and outstanding photo opportunities of the majestic Maui coast and surrounding islands. This powerful catamaran offers a fast, smooth ride to Molokini, which lies in the middle of the channel between Maui and Kahoolawe. First stop is typically Molokini Crater, famous for its clear water and incredible array of undersea life. After snorkeling at Molokini, the boat makes a second stop at “Turtle Town” where you can swim with Hawaiian green sea turtles! Experienced and friendly crew of sailors! Jump into one of the most unique snorkel spots in the world! Paragon Molokini Snorkel Sail focuses on performance sailing, and you will experience an exhilarating trade wind sail along with exploring the unique snorkeling at Molokini. They only go to Molokini instead of motoring around to multiple snorkel sites. The combination of performance sailing and snorkeling is what perfect Hawaiian days are made of! Great catch by Celeste - one of our very own AdventureMaui.com travel agents! Four Winds II is a 55 foot glass bottom catamaran, fondly referred to as “the boat for fun-lovers”. Once onboard, you’ll soon discover why Maui’s visitors consider this trip to be one of the best to Molokini and why we have become a local favorite too. With a crew that is dedicated to your needs and providing you absolute fun, this trip is a family favorite. It offers something for all ages. Breakfast, BBQ lunch, waterslide, glass bottom viewing, open bar, all snorkel gear and instruction … and snuba is available as an option. The most challenging and invigorating snorkeling adventure in the entire state! Blue Water Rafting offers a great alternative to people who are staying in a resort at Wailea, Makena, or one of the South Kihei condo properties. They offer four different tours, three of which go to Molokini crater. These tours are operated on a 24 passenger zodiac raft; their tours are exciting and fun for the adventure-seeker. Their signature trip is 5.5 hour Molokini / Kanaio Coast where you explore the sea caves and lava arches of Maui’s remote and rugged Kanaio Coast. If you are an adventurer that likes the wind in your hair, getting a chance to see dolphins in the wild, and the thrill of discovering Maui… the Maui Magic Adventure Snorkel tour is for you! The newly built 54ft. Maui Magic is a state-of-the-art, fast, comfortable, power catamaran equipped with BBQ grills, onboard waterslide, and an awesome sound system. The Maui Magic vessel is larger, and has more creature comforts than a zodiac raft. NCL cruise ship passengers in Kahului are able to do any Molokini snorkel tours on their second day. 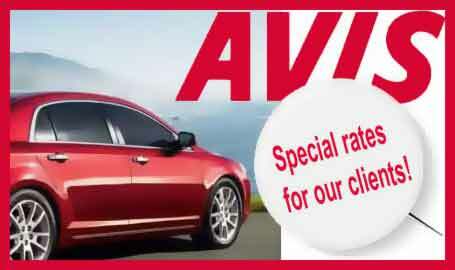 This is a 12-15 minute cab ride to Maalaea Harbor, or we can arrange a rental car with shuttle pick-up at the harbor; rates vary throughout the year but start around $40 per day in low season; see our rental car page for more information. 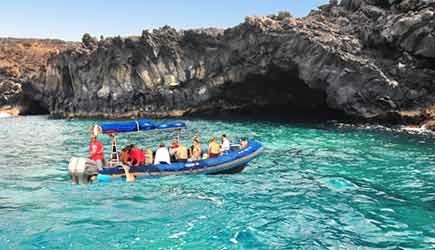 If you’d like to go to Molokini on day 1, Molokini Express by Blue Water Rafting is the only one that fits the itinerary. Lahaina cruise ship passengers can do Molokini snorkel tour only on day 2 (assuming your ship is spending the previous night in Lahaina). This would require a 20-25 minute cab ride, or we can arrange a rental car. The Fourwinds and Pride of Maui are very similar boats in size and amenities and are the two best of the larger boats; the biggest difference between them is their itinerary. The Pride of Maui goes to Molokini for one snorkel stop and Turtle Town for a second. Everybody loves turtles, so the Pride of Maui includes them with their morning tour. The Fourwinds structures their trip differently … there are lots of places where turtles can be seen while snorkeling along the Maui Coastline that don’t require a boat ride, but a boat is the ONLY way you can experience Molokini. For that reason they stay at Molokini the entire time. giving you more snorkel time there than any other boat. If you are only going to snorkel once during your vacation, the Pride of Maui will give you more diversity. If you plan to snorkel around your hotel too, you’ll probably see turtles then, so the Fourwinds will give you more time to experience Molokini crater. The Fourwinds has the better glass bottom viewing area, so if you have anyone in your party who isn’t going to snorkel, they’ll enjoy that feature. Both boats are large with capacity in the 130 range, but they are spacious and well laid out to handle the larger crowds. We’ve seen other large boats that look like people are hanging over the edge … that isn’t the case with these two. Both of these boats are powered catamarans that are very stable; if you have any concerns at all about motion sickness the Pride of Maui has the widest beam (width) which makes it the most stable boat in the water. Blue Water Rafting is a great choice for the adventure seeker, especially ones who are staying in Kihei and Wailea … these rafts are small enough to enter some of the sea caves and lava arches along the Kanaio Coast (when the ocean swells permit). But you do need to be aware that high adventure also means low creature comforts. There is no rest room on board … when you have to go … then you have to jump in the water. Blue Water Rafting has a saying … “NO WIMPS.” If you are one, they really prefer you to go on someone else’s boat. From experience we can tell you that these guys really are die hards. They will provide you with a thrilling ocean experience, and that means going out in a variety of ocean and weather conditions. You will get wet on their tours … even on an otherwise dry sunny day. This is a bouncy ride and you will experience open ocean conditions that are much rougher than what you’d find on a typical Molokini tour. By now you should be able to tell if this is the right tour for you … or not. Morning is typically better snorkeling than the afternoon because our trade winds here in Hawaii are typically much lighter in the morning and the wind kicks up around noon or so. Many boats (and activity desks) advertise less expensive afternoon Molokini trips … we don’t find this approach to be an honest one. Because of afternoon trade winds most PM trips go to “Coral Gardens” which is near the tunnel along the Pali Highway between Maalaea and Lahaina. Coral Gardens is a nice spot to snorkel … but it isn’t Molokini. We do offer these afternoon trips, but we take the high road here at Adventuremaui.com … since your chances of going to Molokini in the afternoon are less than 20%, we prefer to market them as Coral Gardens snorkel tours … which occasionally get diverted to Molokini on really calm afternoons. If you want to be reasonably sure you are going to Molokini, you definitely want to book a morning trip when your chances of getting to Molokini are more like 95% instead of 20%. We also offer scuba diving to Molokini Crater which is not found here on this page … see our Maui Scuba Diving page for details. We offer both certified diving and introductory, no experience necessary dives. The tours featured on our scuba diving page are best if EVERYONE in your party wants to scuba dive. 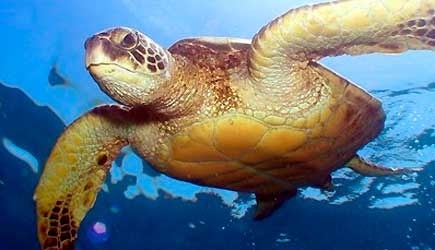 If you have some snorkelers and a few certified divers, the Pride of Maui found here on this page is the best choice.